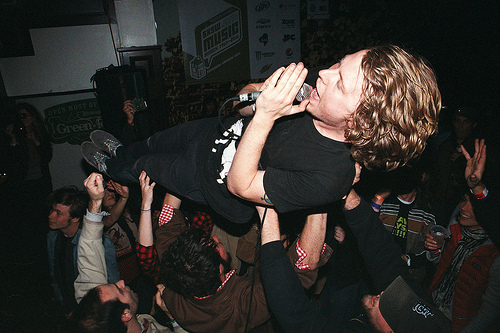 Are we allowed to call ourselves Ty Segall fanboys at this point? We think it might be the only term that does our fanship justice. 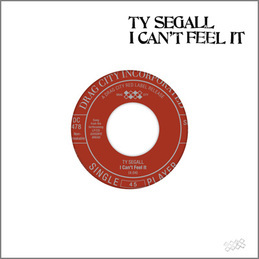 Word came today that Ty’s got a new single coming in a couple weeks [May 17th] from Drag City [the same guys that are putting out his new record, Goodbye Bread, a little later this June] The A-side features a track “I Can’t Feel It” and the B-side has a non-LP track called “Falling Hair”. You can’t hear either of the tracks yet Looks like Drag City put up a couple previews for the tracks that you can check out here, but you can click down there to here a Gories cover he did a while ago. And then click again to check out the artwork for the single. Word on the street is that Segall and the rest of the ladies may be rolling across the country after the new record comes out. You better believe we’re working on getting him back through. Get stoked!